Mr. Mooney wants to be named President of the San Francisco branch of the bank. To get the job, he enters his boss, Mr. Cheever, in a "Boss of the Year" contest and writes a ridiculously fawning letter comparing him to Abe Lincoln. Meanwhile, Lucy schemes to have Mooney named "Boss of the Year" and enters him into the contest to ensure that he wins the position and gets out of her hair. Special Notes: This is the last episode of the series. It is too bad no one thinks to bring back Vivian or Lucy's stage kids for a final farewell. The show must end because it is owned by Desilu, and Desilu is no longer owned by Lucille Ball. Lucille wants to own her own TV product, so it is decided for her to come back in the Fall with a new CBS network series produced by Ball's new company, Lucille Ball Productions. 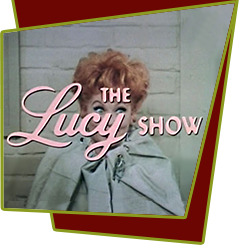 The finale of the installment, a musical number by Lucy saluting Mr. Mooney refers to Lucy having worked for Mooney for six years, totally ignoring the format of the first three seasons. Notice that this is, by comparison to other series, a short season. Lucille Ball's sitcoms will consistently have the shortest seasons of any network on the air from this point forward.